We hope you are settling in and enjoying your new home. We aim to ensure you are completely satisfied with everything that has been provided in your property. While we are confident that all of our properties are completed to the highest standard, it is understandable that in some cases there may be minor settling in issues. The lettings team is made up of Senior Lettings Manager Mike Howard, Senior Lettings Administrator Pam Higham and our Lettings Assistant Kye Bennett. You can contact any member of the lettings team for general lettings queries during office hours (9:00am-5:00pm, Mon-Fri) on 0161 707 6106 (option 1) or info@mistoria.co.uk, please also send all general maintenance issues through email. For any complaints please contact Mike Howard at the office or by email on mike.howard@mistoria.co.uk. 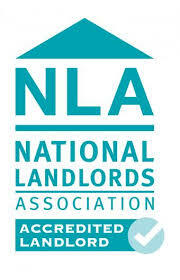 Mistoria are specialist NW student letting agents. We have high quality student accommodation available in the major North West university cities of Liverpool, Preston and Salford. Contact us for more inforamtion or to arrange a viewing. Call 0800 500 3015 or email info@mistoria.co.uk. We are now conducting viewings for the 2015/16 academic year.